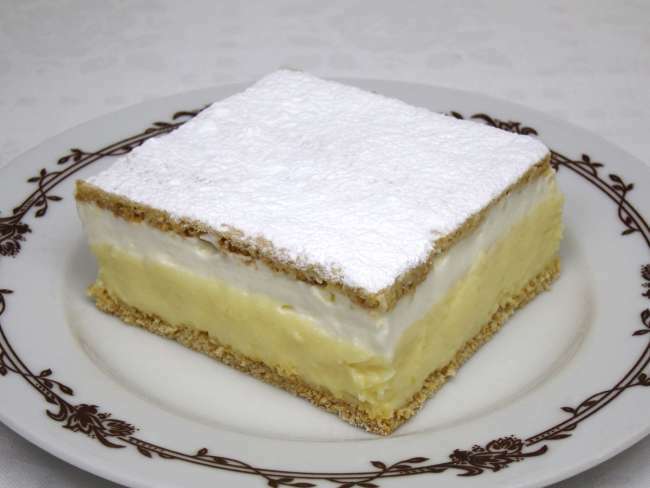 Traditional favourite dessert from our cuisine. Bring milk and sugar to the boil. 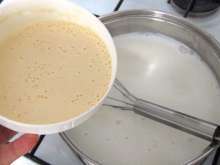 Mix flour and pudding powder with milk and pour it into the boiling milk. 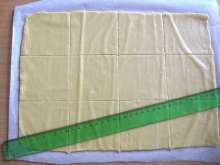 Cook until it becomes dense. Stir egg yolks in and bring to the boil. 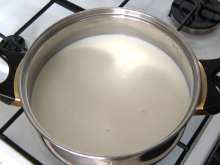 Transfer it to a bowl and allow it to cool at room temperature while stirring occasionally. 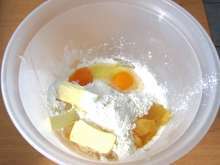 Pour flour into the bowl, add sugar, honey, sliced butter, rum, baking soda, egg and egg yolk. 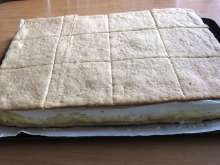 Split the dough into halves. 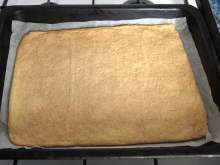 Use a rolling pin to spread one-half of the dough on parchment paper until thin and cut out a rectangle for about 35x25 cm using a knife. While spreading the dough, sprinkle it lightly with flour to prevent the dough from sticking to the rolling pin. 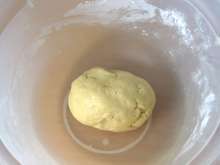 Prepare the second half of the dough the same way and score it lightly into 12 equal pieces. 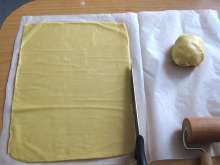 Transfer the layers with parchment paper to the baking tins and gradually bake them at 355°F (180°C) for 5 minutes. 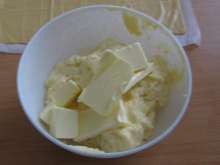 Add sliced butter into warmish pudding gruel and whisk until it thickens into a cream. 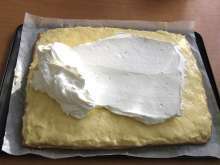 Spread the cream on top of the first layer. 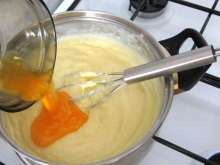 Make whipped cream with a whisk and spread it over the cream. 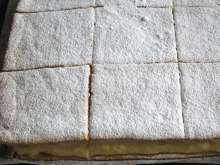 Cover it with layer scored into squares and place it in the refrigerator for few hours until it becomes stiff. Before serving, cut the cake following the scored lines and sprinkle it with sifted sugar.